We can provide the specialist Mobile Home Insurance you need to adequately protect your mobile home. 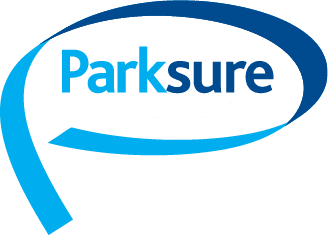 As Mobile Home Insurance and Park Home Insurance specialists we’ve worked with a leading insurer to develop an insurance policy which provides the cover you need. It’s flexible enough to adapt to varying needs and available at a competitive price. If you already have Mobile Home Insurance with a different provider it’s worth checking your current policy specifically uses the words Mobile Home – if it doesn’t you might not have the cover you think you have. Contact our experienced team if you’re unsure, we’re always happy to help. Mobile homes aren’t a standard risk so it’s important to get advice from experts – if you just have a normal Home Insurance policy it probably won’t be giving you the protection you need. So contact us or get a quote today to find out how we can tailor our insurance for mobile homes so it suits your requirements. Up to £50,000 worth of Contents Cover, as standard. Full Accidental Loss or Damage cover, as standard. Subsidence, Storm Damage, Flood and Escape of Water cover. Fire, Theft, Attempted Theft and Vandalism cover. Accidental Damage, caused by domestic pets covered. Garden Contents up to £2,500. Money and Credit Card cover up to £500. Loss of Metered Water up to £1000. Optional cover for Portable Personal Possessions away from home. Rent and Alternative Accommodation Cover. Replacement Locks up to £1000. Liability Cover- £5m Public Liability / £10m Employers Liability. Home Owners Legal Expenses cover. 24 hour Domestic Emergency Assistance Help Line. Loss of Keys cover provided automatically. Payment accepted by credit/debit Card and monthly instalments. Storm or Flood damage to fences or gates. The first £500 of any claim for subsidence damage. Malicious acts or vandalism caused by you or any tenant of the home or their guests. Theft when the home has been unoccupied for more than 90 days. Conditions apply. Escape of water during the period 31st October to 1st April unless central heating is on a minimum of 15 degrees or water is turned off and drained down. Smoke damage arising gradually out of repeated exposure. Damage caused by wear and tear is not covered. Damage caused by or resulting from faulty or defective workmanship. We will only pay for individual damaged items and not for undamaged items belonging to the sets or suites. These are just some of the key exclusions. Full details of your exclusions can be found in your policy wording. Visit our main Residential Park Home Insurance page for more information including answers to our most frequently asked questions.